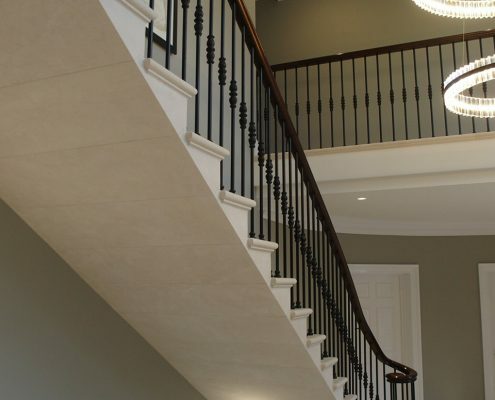 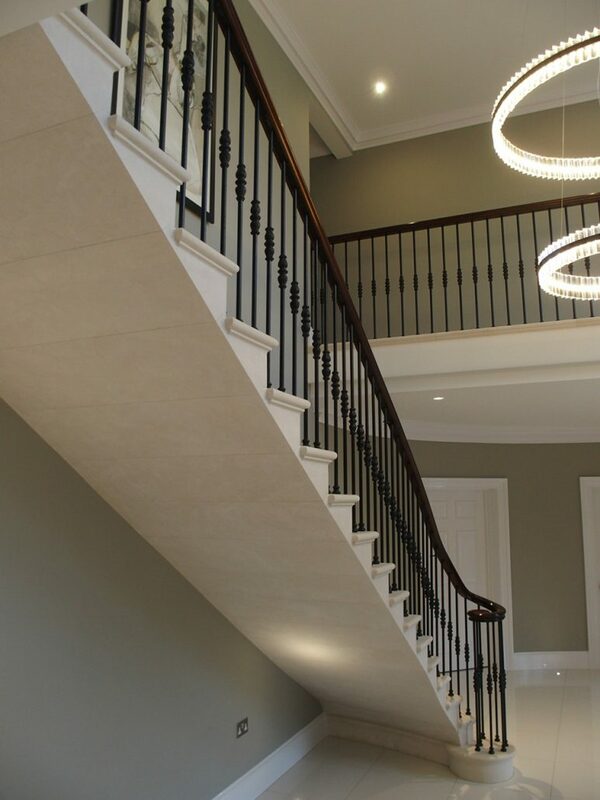 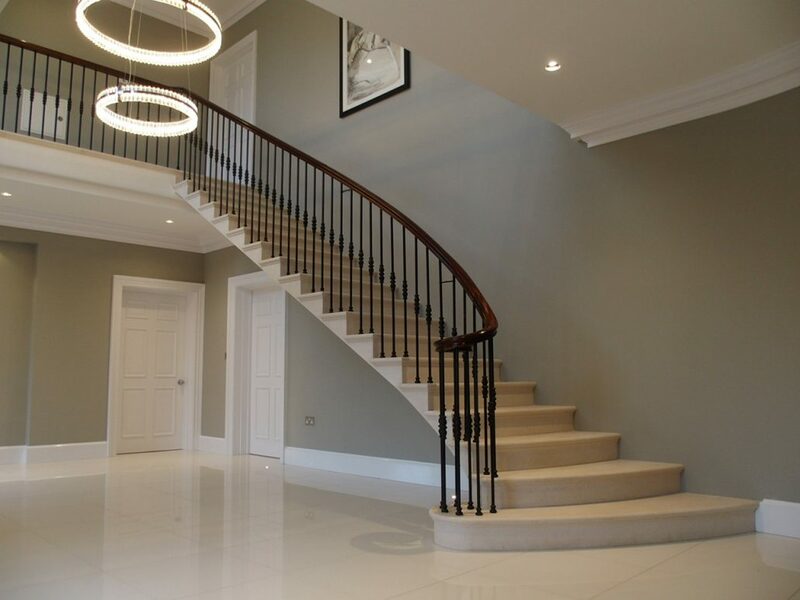 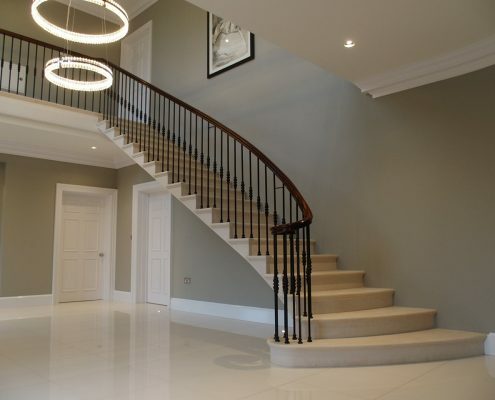 This handmade stone staircase demanded attention to detail at every level. 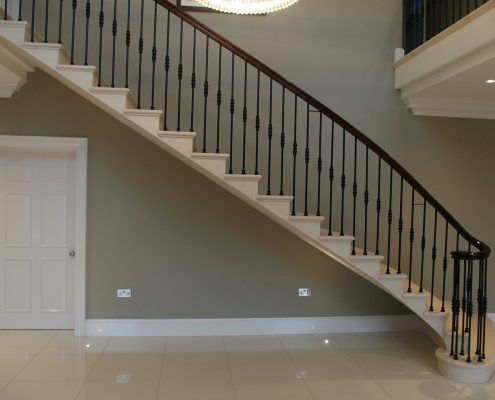 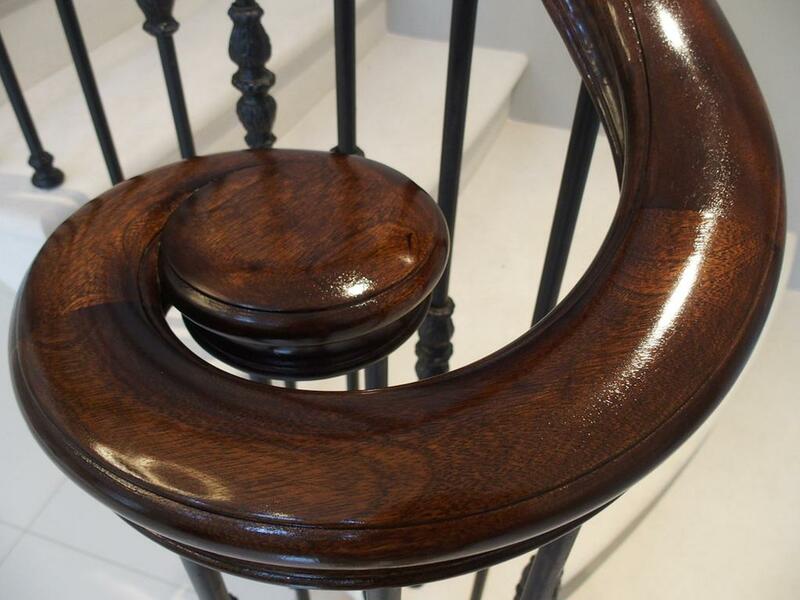 The simple steel spindles were installed with a sapele handrail which had a complicated, ‘fully moulded’ profile. 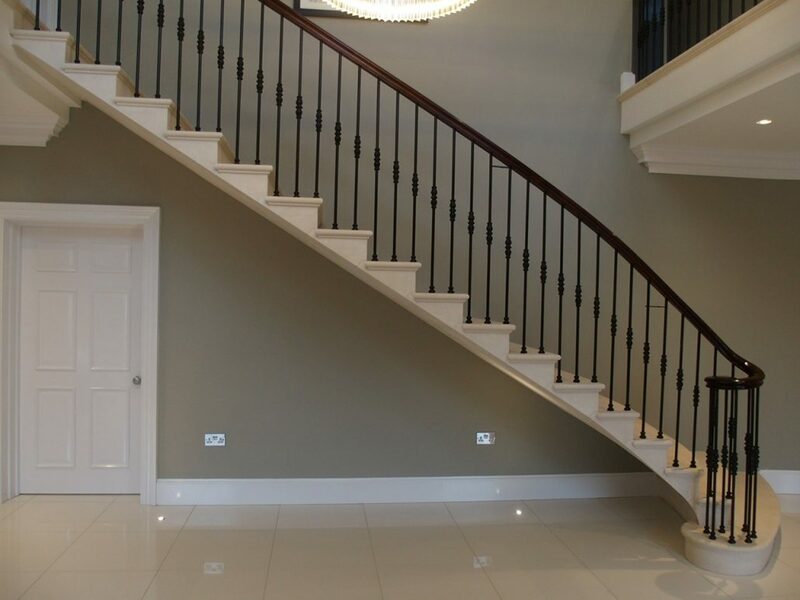 We followed the shape of the steel core rail, manufacturing and hand finishing to a tolerance of less than 1mm. 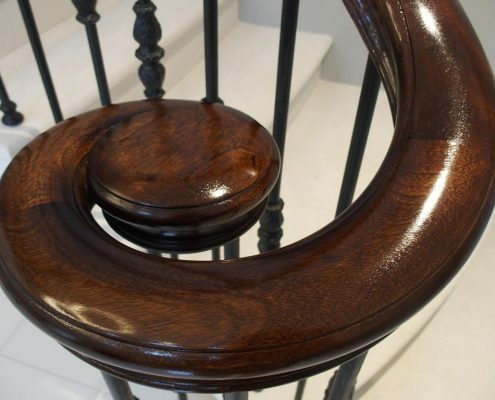 The volute at the bottom of the staircase curls into a small bun and the whole handrail was stained and French polished using traditional shellac.